This is one of the free-standing sculptures. 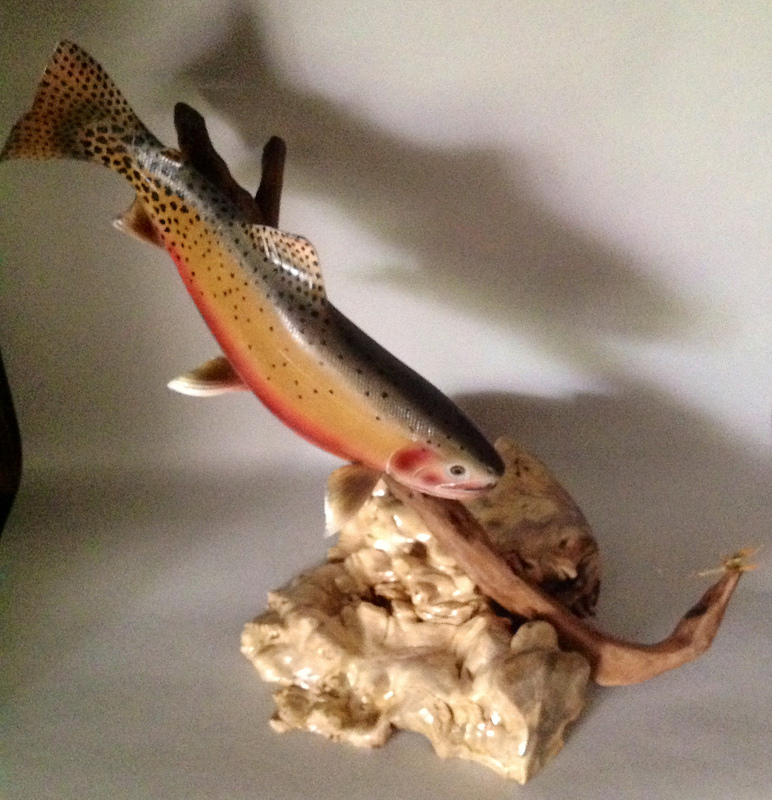 A beautifully hand-sculpted, Apache Trout, from wood collected specifically for THIS FISH. This sculpture is long gone and sold, but you can either commission one ‘like it’ – for the It’s A Wiley creation is truly a One of a kind creation. No two are exactly alike. The wood has the final command and I am just the servant that renders the result. Contact Jim today to get your very own commissioned work.